In my last post, an Osprey Update, I had shared this photo of an osprey and Great Blue Heron staring each other down at the osprey platform. 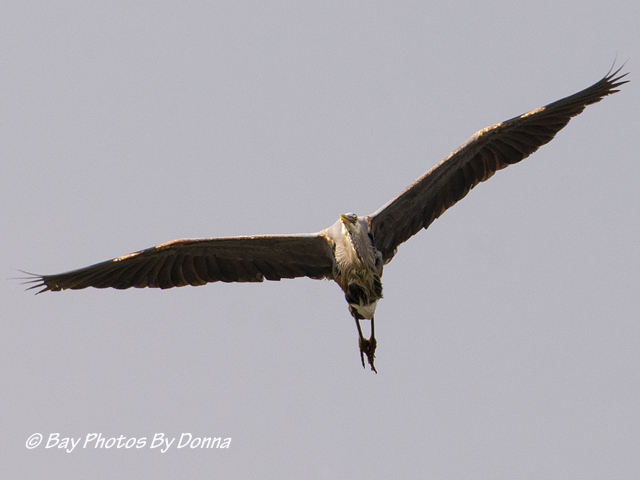 Neither not wanting to leave, but the osprey just cannot tolerate a Great Blue Heron in his ‘space’ and he finally swooped at him to try to persuade him to go. 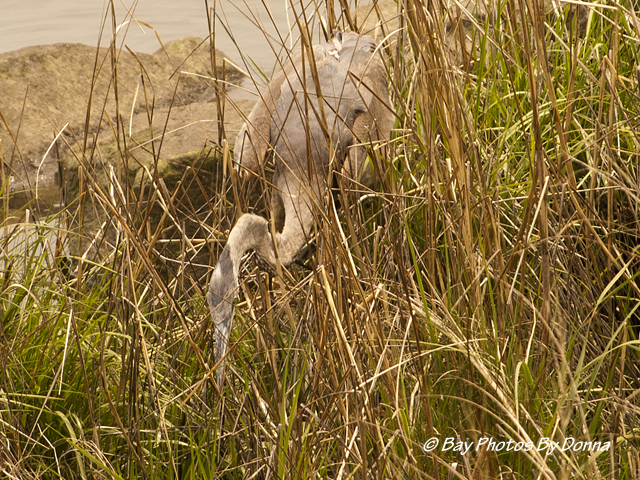 Sometimes not, but the Great Blue Heron had won that time at keeping his post in the water when the osprey tried to attack him, he wasn’t so easily giving in! 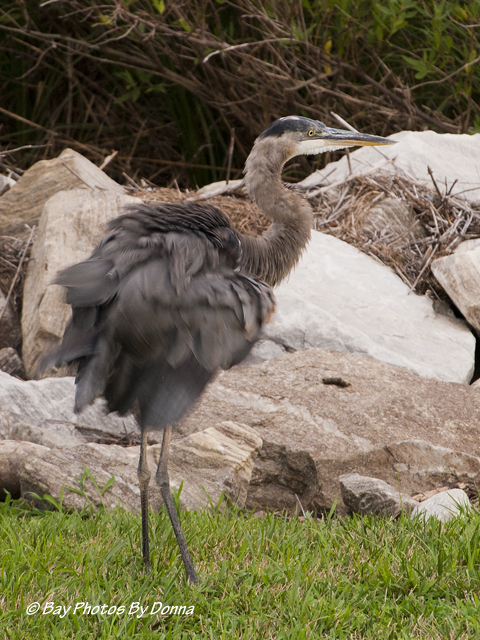 There may be more than one, but for the past few months, a Great Blue Heron has been almost a daily visitor along our berm, either fishing or resting. Most times I just watch him through my binoculars as he perches for hours at a time. And many of those times I’ve had my tripod set up on my balcony, looking to capture some of those odd and neat looking poses that aren’t normally shared. He/they hardly ever disappoint! I even discovered the other morning before sunrise, he was perched on the osprey nest platform. Wish I could have gotten that photo but it was too dark. 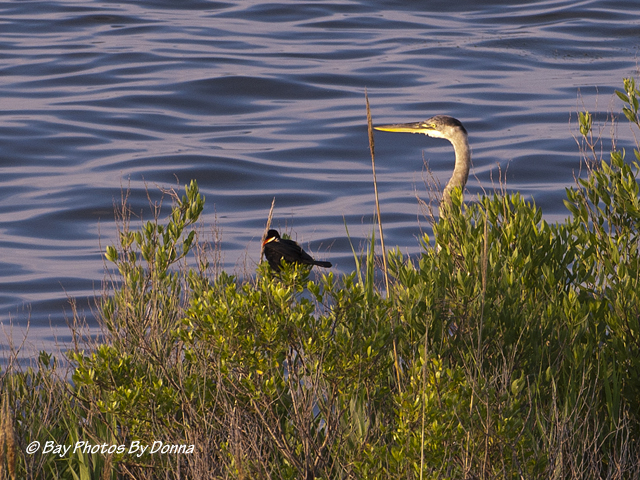 I’ll begin with what I thought was a cute shot of a Red-Winged Blackbird hanging alongside the Great Blue Heron. Neither bothering the other. The best of buddies! 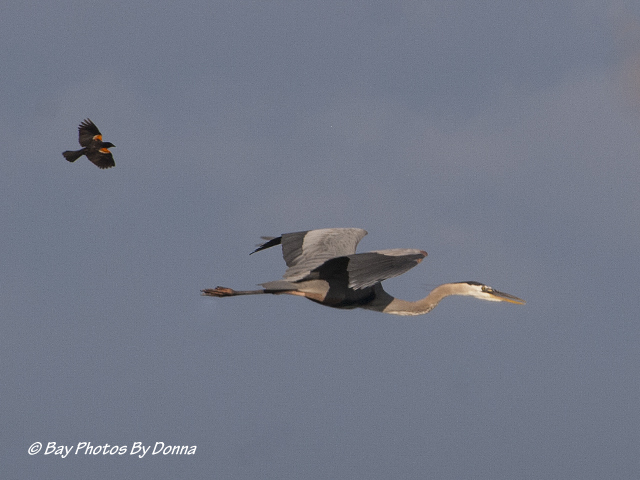 A week later they were no longer the best of buds…..the Red-Winged Blackbird didn’t want the Great Blue Heron at the base of the osprey platform this time around! 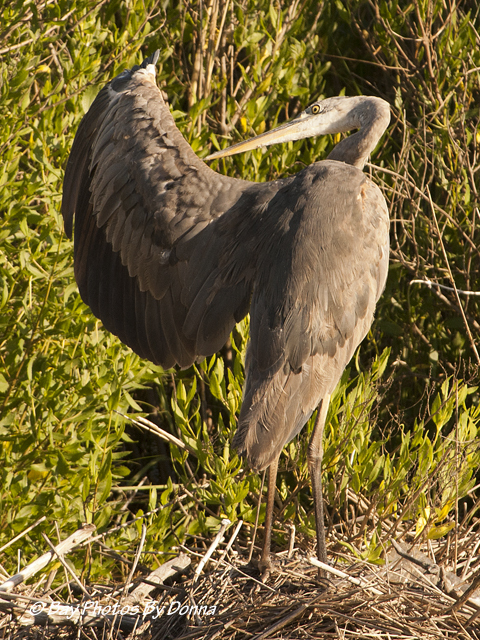 It was comical seeing this large heron squawking while he tried to get away from the ‘big bad’ blackbird who chased him, LOL. 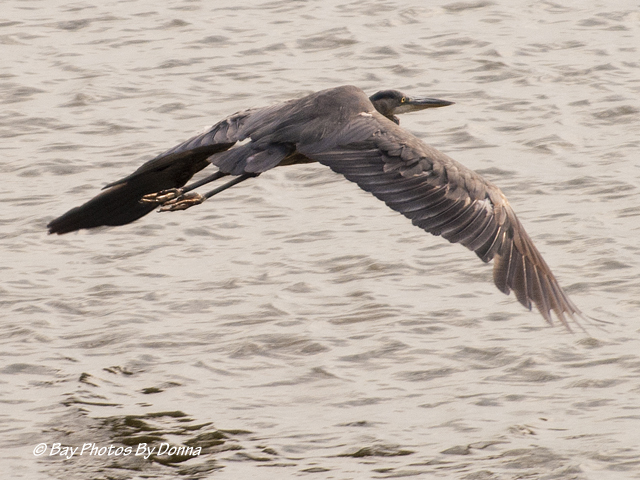 How about some more Great Blue Heron flight shots! 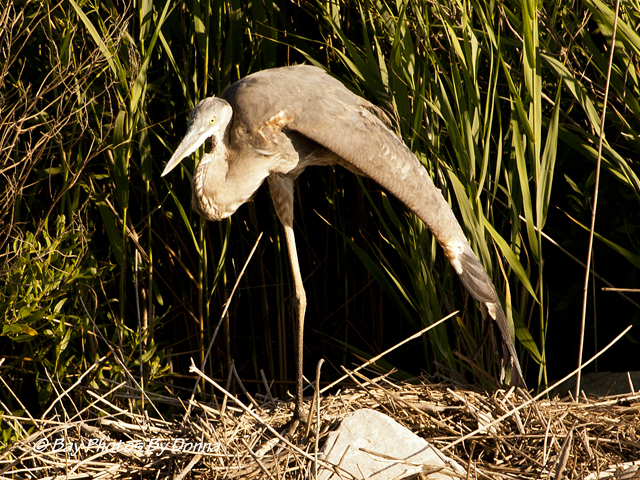 When the Great Blue Heron isn’t coming and going, one thing he’s doing is searching for dinner. Most times I’ll watch him grab and swallow a fish whole. But how about a crab? 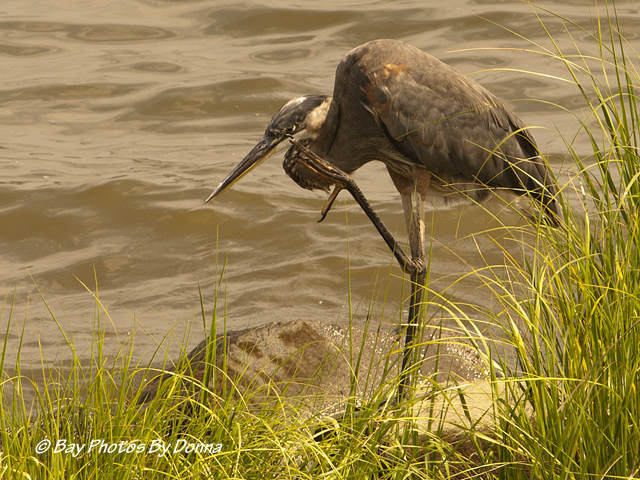 Great Blue Herons love Chesapeake Bay Blue Crabs too! Or turtles?? I must confess, I was a bit aghast watching him devour a dozen or so he found in a nest at the berm and seeing the poor little turtles’ four little legs flailing! This little turtle had no chance! 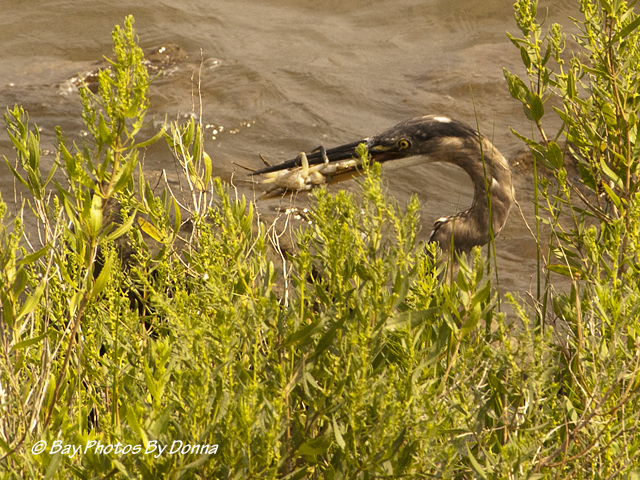 Great Blue Heron swallowing a whole baby turtle. 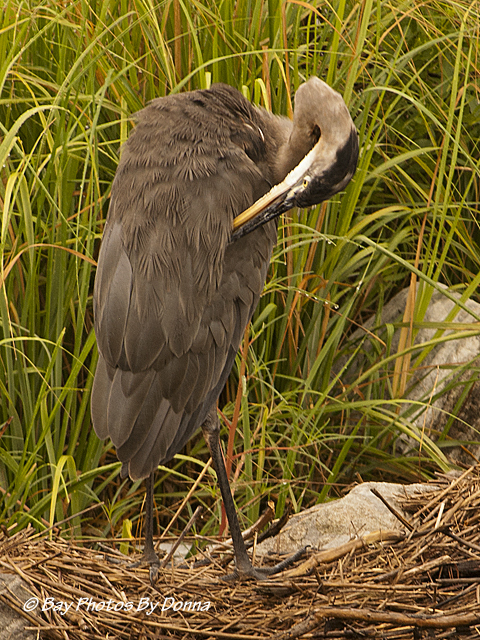 The Great Blue Heron has also spent hours preening his feathers. Sometimes I’m amazed at how they can stretch their necks and reach all over their body. Not sure what he was looking for here! But my good blogger friend, Deb (aka Trek Ohio), commented he looked like he was taking a bow. After all the photo ops he gave me, I do believe he is! After preening, he’ll rest while he basks in the sunlight with this odd pose. Along with a little stretching to keep him limber…. 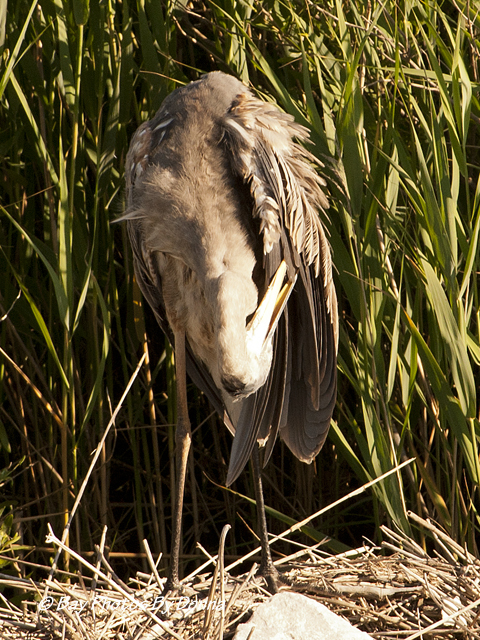 And a good feather ruffling to bring in a little air to the skin…. And finally, a scratch or two to take care of an itch. 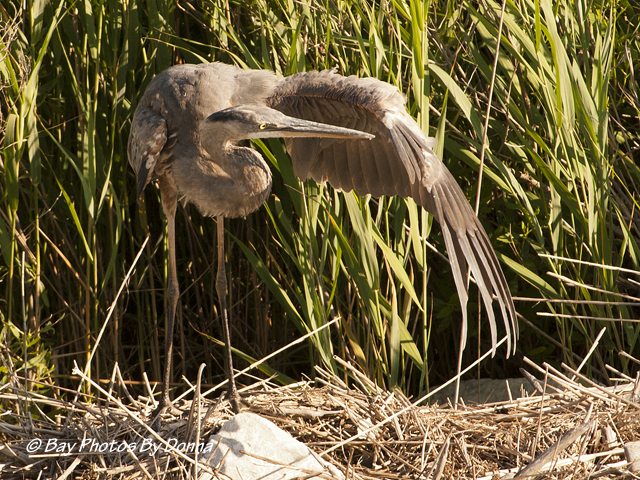 I love the Great Blue Heron, their beauty and stature are gorgeous, but they can also give some funny and odd poses on occasion as these photos. I hope you enjoyed them and thank you for your continued following, I appreciate it! 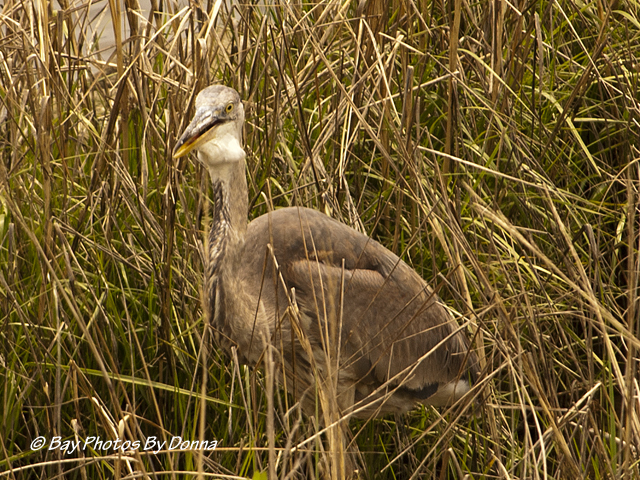 Great series of pictures of the GBH Donna! You sure did get some great shots! Poor little turtles. Thanks Joleen! I don’t know why the little turtles getting eaten bothered me when I’ve seen him devour fish after fish, LOL. 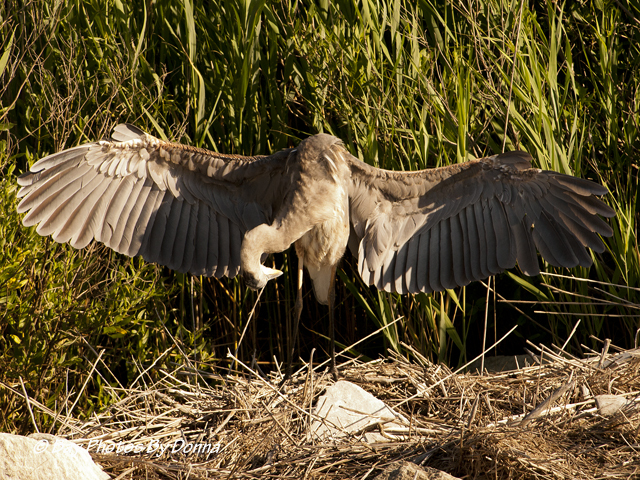 Those are great flight shots of the heron with nice lighting. 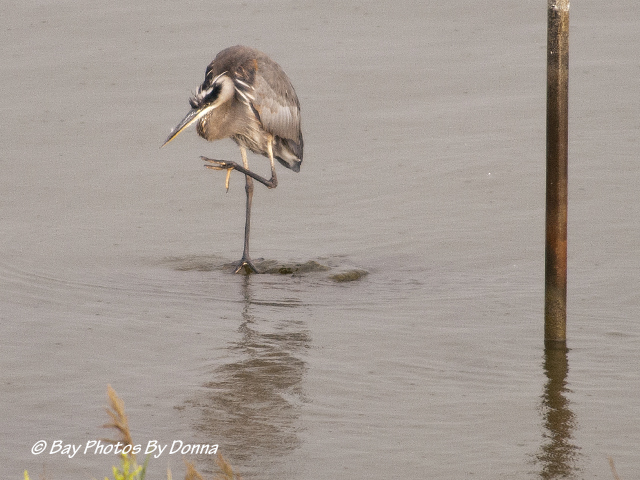 Yup the little birds are sure giving the bigger ones a tough time as I have witnessed in a few blogs.And what a good diet that GBH has.Thanks for sharing..
A great sequence of story-telling shots Donna! 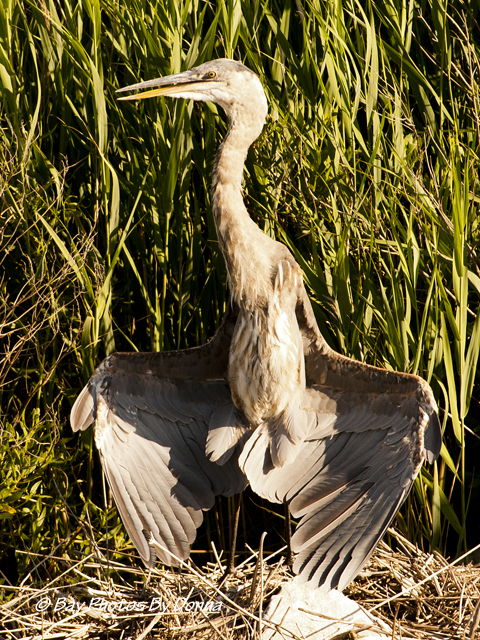 I really like the two photos of the GBH headed for the sun – beautiful! The whole post was most enjoyable and the poses are odd and wonderful. I do agree that baby turtles as lunch are a no-no. Thanks for sharing, and so glad you are having a good end of summer time. 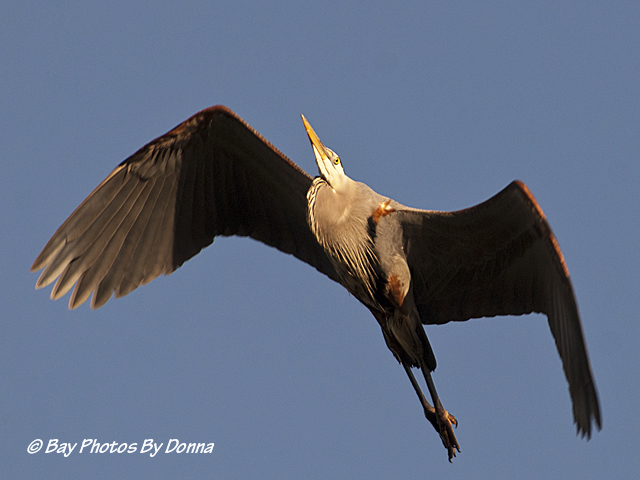 That was a treat fro heron lovers everywhere. Thank you. Wonderful pictures! Addictive to us that are so fond of great blues. 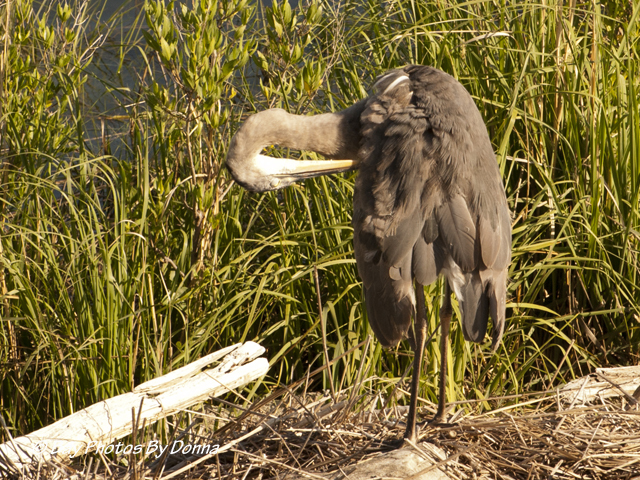 I never get tired of studying your blue heron photos either… don’t ever worry about “overloading us”… These are like potato chips… you can’t eat just one. Every photo you post gives an interesting insight into the movements of the birds… if they are too posed, we lose a lot… so I’m glad for all the shots you post. Appreciate your comments! I love watching them move oddly and trying to capture it, I find it fun and challenging. I really enjoyed your photo series. 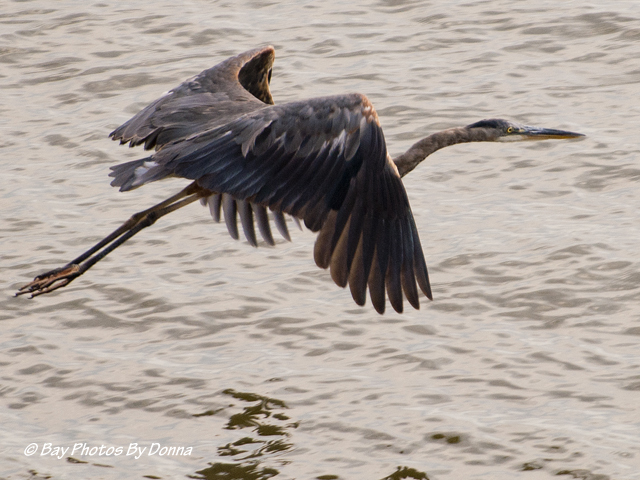 I think my favorite was watching the red-winged blackbird chasing the heron. Thanks Ed! OMG, that had to be an awesome photo op! 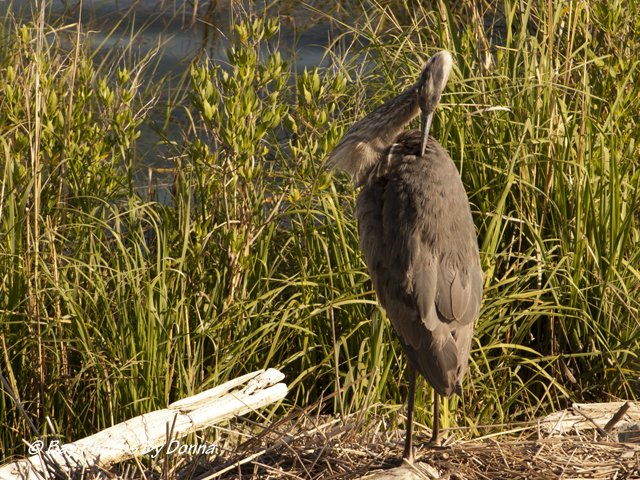 I actually got some shots of another heron down the road eating about a foot long snake a few weeks ago, but that’s a way bit too much for a gull, lol. You’ll have to share it one day! 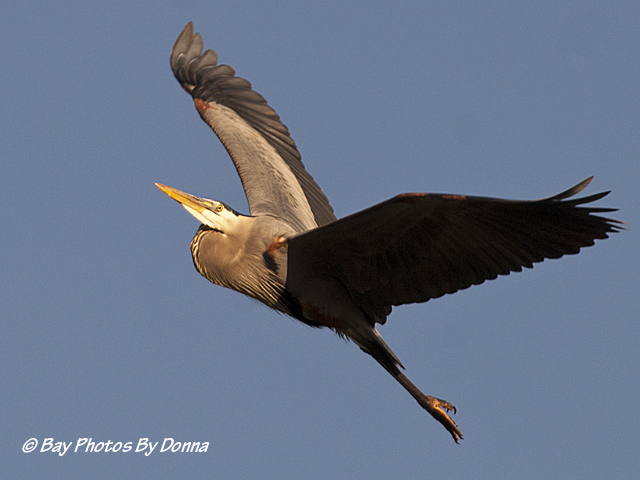 Thank you Nia, Great Blue Herons are amazing to watch, they are one of my favorites! Terrific series of photos! 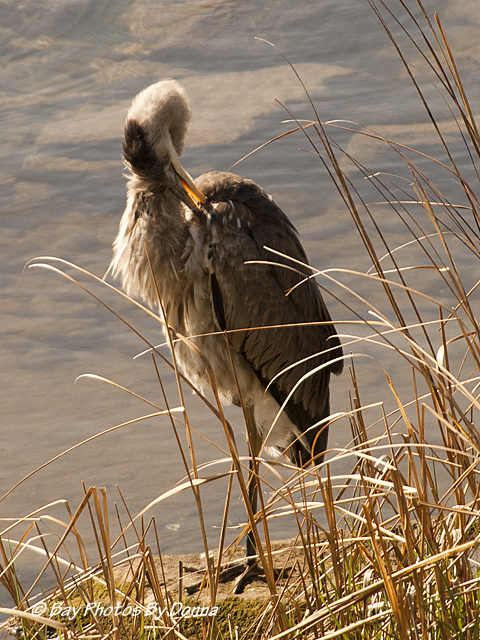 That heron is quite a predator at that! Who knew??!!! 🙂 Thanks Terry! Wow you got some great photos here Donna and I love the captions!!! 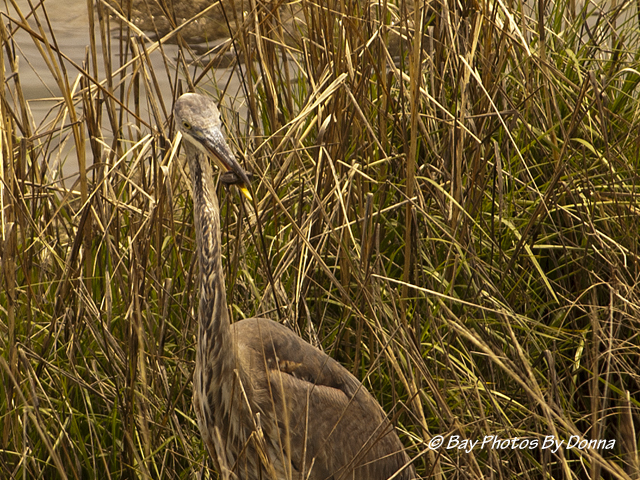 The heron must be used to your presence…he certainly likes his picture taken! 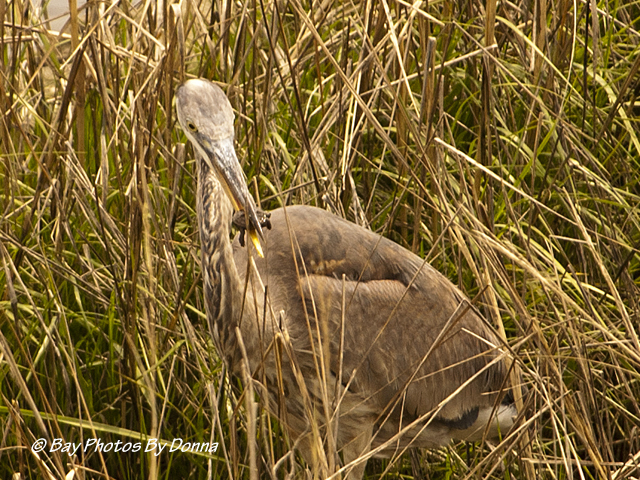 As big as he is, you’d think he’d stand out but he doesn’t, he’s pretty good at blending in with the tall marsh grass. 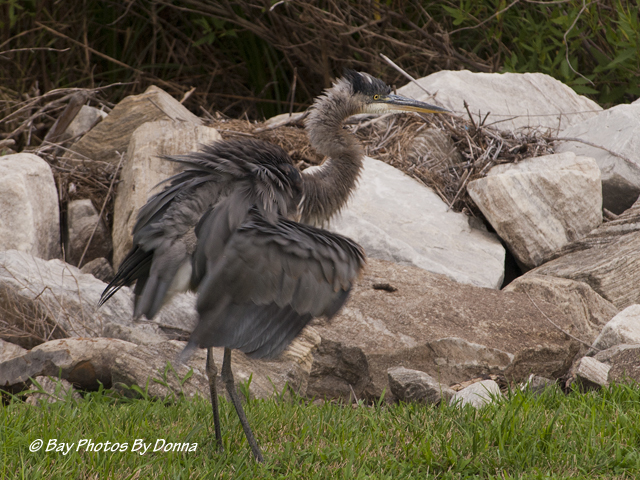 I’ve watched him stand really really still while someone walks right by him on our paved walking path. And I can tell the person usually doesn’t even see him, so with no eye contact from them, he’ll stay put. I’ve got the overhead advantage of looking down over him from a distance and spotting him. He positively knows I’m on my balcony, on occasion he flashes me the evil eye! 🙂 Apparently the delicacies around our point aren’t too easily given up by him. Thanks David! 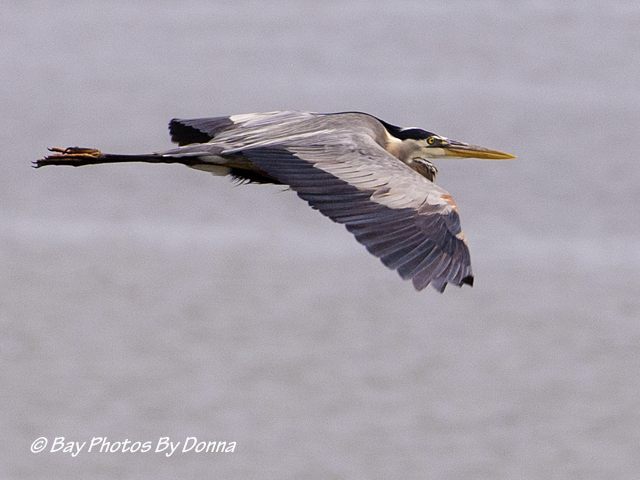 Hi Donna, You have captured really nice shots of the Great Blue Heron. 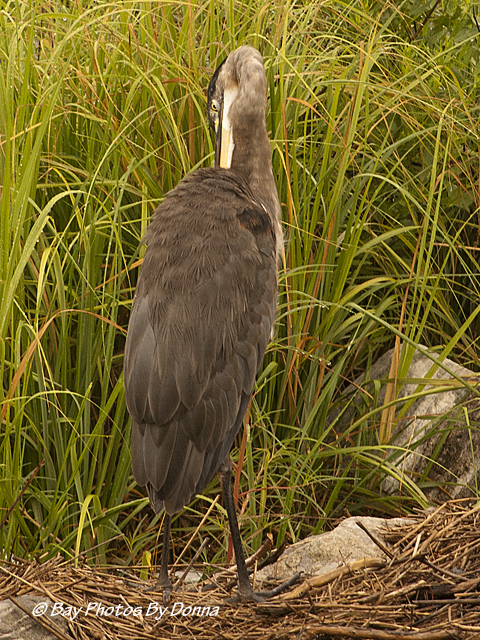 I have a resident heron here where I live and enjoy seeing the big bird often. Your pictures are just excellent. 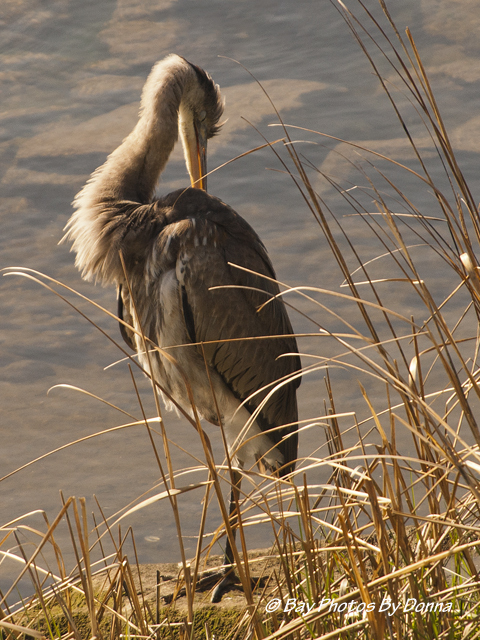 Glad you also have the heron near.